NEW YORK (AP) — Whitney Houston's mother isn't the only person writing a book on the superstar. 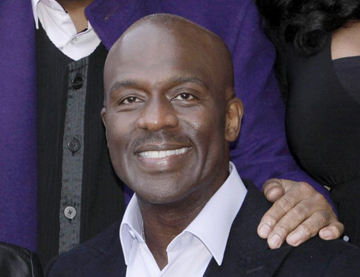 Gospel singer BeBe Winans — who sang at Houston's funeral — announced Thursday he has written "The Whitney I Knew," due out July 31. The book promises what is described as "heart-breaking accounts that led to her ultimate defeat." It will also include photos and personal videos of the singer never released to the public. Winans and his family knew Houston for years. His announcement comes as he prepares to release a new album, "America America" next week. Houston died at 48 in February. Authorities called her death on an accident drowning, complicated by heart disease and cocaine use. Earlier this month, it was announced that Houston's mother, Cissy, was writing a book due out next year.